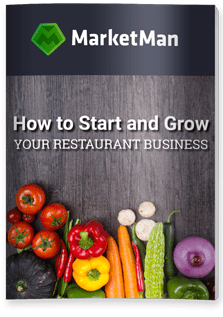 While larger restaurants and restaurant chains always have one, if not several, restaurant management systems, owners of smaller restaurants, bars, and food trucks might not think that it’s worth the money to invest in them. And so they continue using spreadsheets and paper, wasting unnecessary time trying to manage daily functions. Actually, having the right restaurant management system in place can help you save time, money, and do more with your restaurant. Here are a few reasons to consider. Restaurant owners and managers know the headache that inventory can be, particularly when you’re doing it manually. But with restaurant management system software, you can track exactly how much of any given ingredient you have, what it’s costing you, and when you need to order more. Having a point-of-sale system system that ties together with inventory management software means that every time you input an order, the amount of ingredients each purchased dish requires is deducted from existing inventory. At the end of the week, what you have on your shelves should match up to what the software system says you have. Easy. If you’re still filling out paper order forms and faxing them into your suppliers, you know how easy it is to make human error. A hard-to-read 6 on a form could be misinterpreted as 60…giving you 60 cases of pickles instead of the 6 that you wanted! With restaurant management systems that connect the dots between your restaurant and your suppliers, you streamline the order process, eliminate the potential for errors, and can even check the status of your orders at any time. If you’re the type of restaurant owner who has a box full of invoices and receipts overflowing in your office, you’re going to love what a restaurant management system does for you. Rather than having to hang on to every piece of paper you receive, you just snap a photo of the invoice and it’s automatically uploaded to your digital filing cabinet through the software. It’s filed into your accounting system, where you can pay the invoice before it’s due. Profit margins can be thin when it comes to the restaurant industry, so it’s imperative that you stay on top of what each ingredient costs you, as well as the food cost per dish that you serve on your menu. A restaurant management system lets you view reports at any time on these costs. If the cost of avocados has risen, therefore cutting into your profit margin, you can decide: do you raise the price for that item as an add-on or do you nix it from certain dishes? Staying on top of these expenses helps you keep costs down. If you own more than one location of your restaurant, using a restaurant management system that helps you view data for each location can be immensely helpful and time-saving compared with a separate system for each location. You can, for example, manage inventory across all locations and place orders with suppliers in bulk so that you save per item. You can also view which menu items are most successful at each location so that you can deliver what your customers want locally. It just makes sense; a restaurant management system that integrates inventory, sales, ordering, and accounting makes it easier to do your job well.